If you thought that student loans were just for well, student expenses, then think again. A recent survey has found that some college students are using their financial aid to invest in the crypto market. College is expensive and sometimes, opting for financial aid is the only way to cover fees, rent, textbooks and the list goes on. It also leaves you with a future filled with all of these student bills that have unfortunately graduated with you. However, according to The Boston Globe, some students are doing more with this borrowed money than using it for their college and living expenses. Pollfish, an online polling platform, conducted a survey and according to The Student Loan Report, 200 out of 1,000 students stated that they have used some of their student loan money to invest in crypto. Younger Americans are certainly the most enthusiastic about cryptocurrency; they are the most active investors and want to get involved in the space in any way possible. However, I truly thought the percentage would be lower. As a college student, your budget is thin and that extra money could be used on rent, groceries, or books. Investing is not an educational expense, so it’s against the rules to use your student loan money to buy cryptocurrencies. Federal student aid funds are to be used only to help meet the costs of attending an eligible institution of higher education. Investing is not considered an appropriate use of federal student aid funds. I would err to the side of it not being a kosher thing to do legally, but regardless of that I don’t think it’s a wise thing to do financially. This apprehension most likely stems from the crypto market’s characteristic price volatility. The beginning of last year saw Bitcoin trading at about $1000, while December 2017 saw it reach heights of $20,000. ICOs were also in the headlines throughout last year with start-ups raising millions of dollars in relatively short amounts of time. In fact, one platform managed to raise $36 million in just one minute. These price highs and ICO numbers could look quite tasty to students who are living on ramen and toast. However, price unpredictability means that there is no guarantee that these students will see a substantial return on their investment. If you invest the student loans in cryptocurrency and lose money, you will still owe the student loans. And, where will you get the money to pay for college costs? 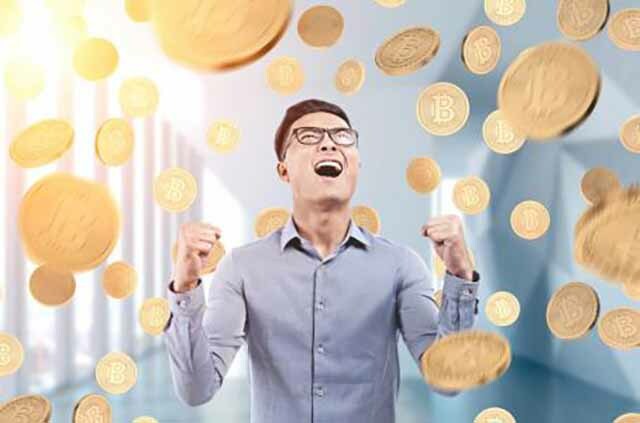 But there is always the chance that there is another period of explosive growth for virtual currency, and these borrowers will be laughing all the way to the bank. If you end up with extra funds, you can return those through your bursar’s office to cancel out some of your debt. That’s the wisest option. People should not invest a single dollar in this that they can’t afford to lose immediately. If some of these students have been successful at shortening their loan or something else, I think it’s important to realize that might have been a random, lucky draw. There is a new generation of consumers that tend to have no faith in traditional financial institutions, and I think they are approaching this asset with curiosity and excitement. What do you think about students using their financial aid money to invest in digital currencies? Let us know in the comments below!